The H.J. Russell Motivational Author Talk connects award-winning authors to the Georgia State community to share their experiences and tips for today’s entrepreneurs. John Hope Bryant is the founder, chairman and chief executive officer of Operation HOPE. He has created and leads more than 35 companies and organizations. Among these companies and his non-profit and philanthropic efforts through his Operation HOPE companies, Bryant’s accomplishments in economics and business have been recognized by five U.S. presidents. Bryant is a bestselling author of “The Memo: Five Rules for Your Economic Liberation, How the Poor Can Save Capitalism: Rebuilding the Path to the Middle Class” and “Love Leadership: The New Way to Lead in a Fear-Based World.” It’s no surprise Bryant has been named among Inc. magazine’s “World’s 10 Top CEOs” in 2017, American Banker magazine’s “Innovator of the Year” in 2016 and Time magazine’s “50 Leaders for the Future” in 1994. 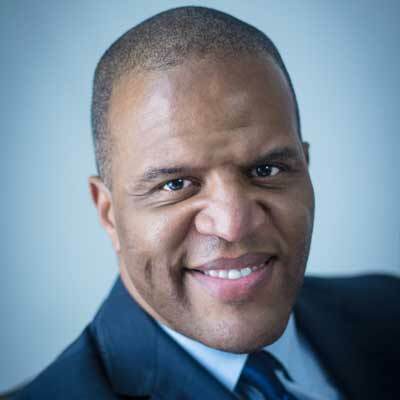 Kevin D. Johnson, president of Johnson Media Inc. and a serial entrepreneur, has several years of experience leading his marketing and communications company that serves many Fortune 100 businesses. Johnson Media Inc. has worked with brands such as Porsche, Chase, Coca-Cola, Brooks Brothers and Microsoft. As an innovative leader, Johnson has appeared on CNN, ABC’s Good Morning America, CBS, Oprah Radio and in Forbes, The New York Times, FastCompany and The Wall Street Journal. He is author of the bestselling book, “The Entrepreneur Mind: 100 Essential Beliefs, Characteristics and Habits of Elite Entrepreneurs”, which continues to be number one on Amazon in various categories since its publication in 2013. 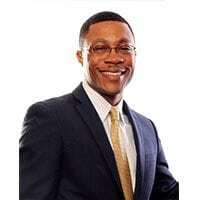 Johnson holds a bachelor of arts degree in spanish from Morehouse College. 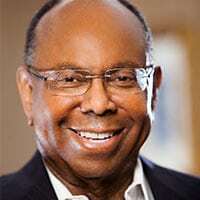 Dr. William F. Pickard is chairman of Global Automotive Alliance, co-managing partner of MGM Grand Detroit Casino, chief executive officer of Bearwood Management Company and co-owner of five black-owned newspapers. Pickard has more than 45 years as an entrepreneur. He is also creating a new generation of entrepreneurs with Millionaire Moves – Seven Proven Principles of Entrepreneurship: vision/attitude, opportunity, relationships, talent/skillset, financial, failure and faith. He believes with his undeniable principles, anyone can become a successful entrepreneur. Pickard holds a bachelor’s degree from Western Michigan University, a master’s degree from the University of Michigan and a Ph.D. from Ohio State University.